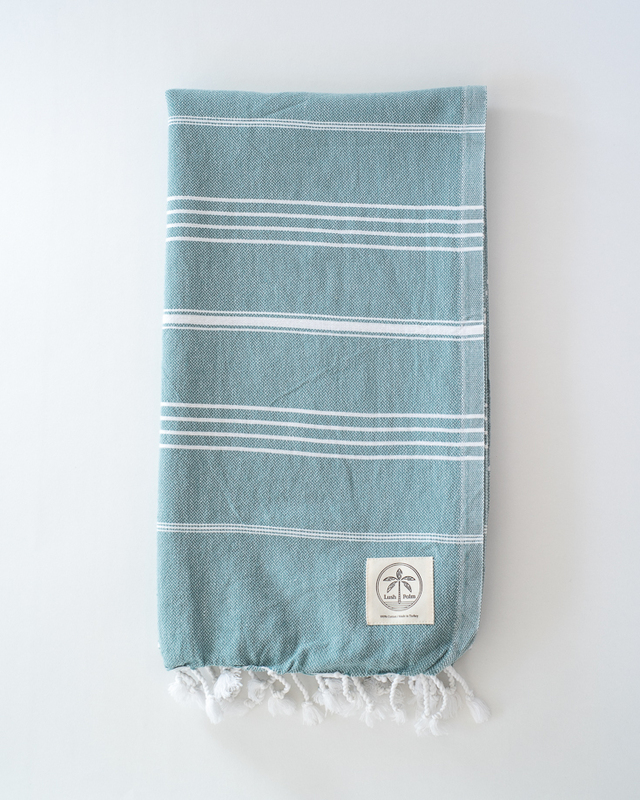 Lightweight, compact, and downright dapper, this beach towel is sure to become your can’t-live-without beach essential. 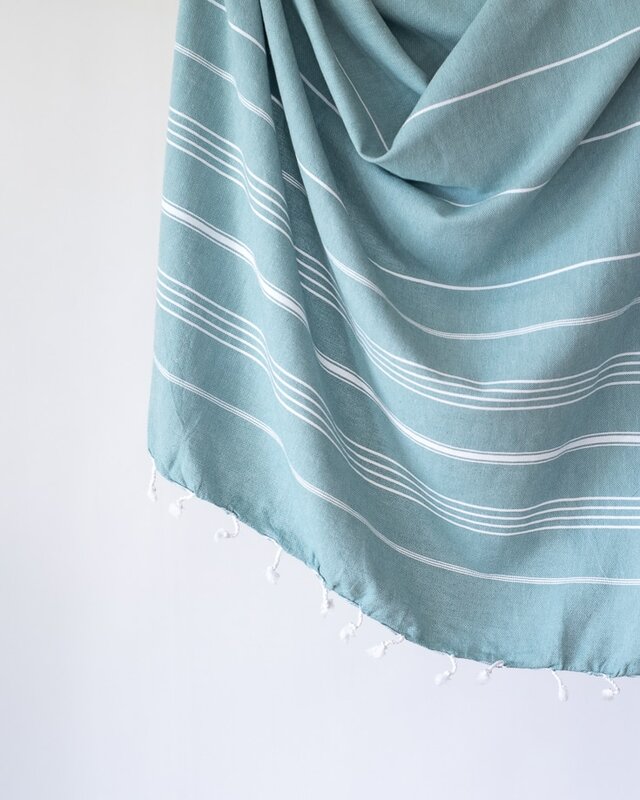 Made with 100% premium cotton and loomed in a flat woven style native to Turkey, the Seafarer is a Turkish towel made for life at the ocean. 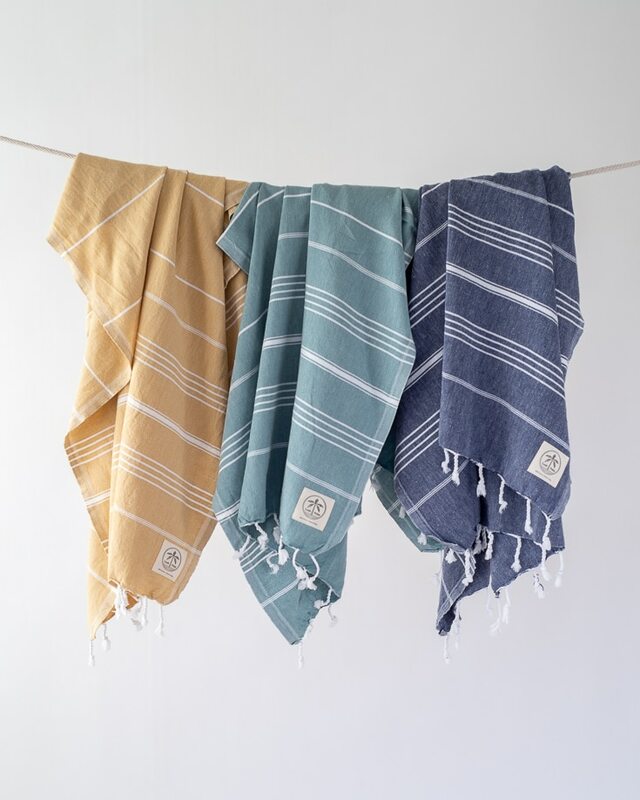 The special weave of the Turkish towel makes it sand repellant, super soft, absorbent, and fast-drying. 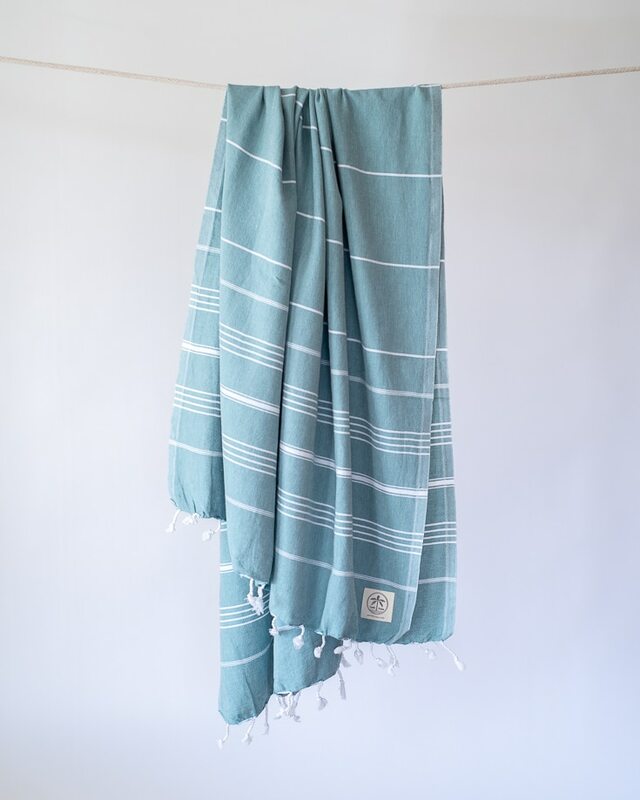 Featuring a subtle sage hue accented with thin white stripes and hand-finished tassels, this versatile beach towel is as handsome as it is practical. 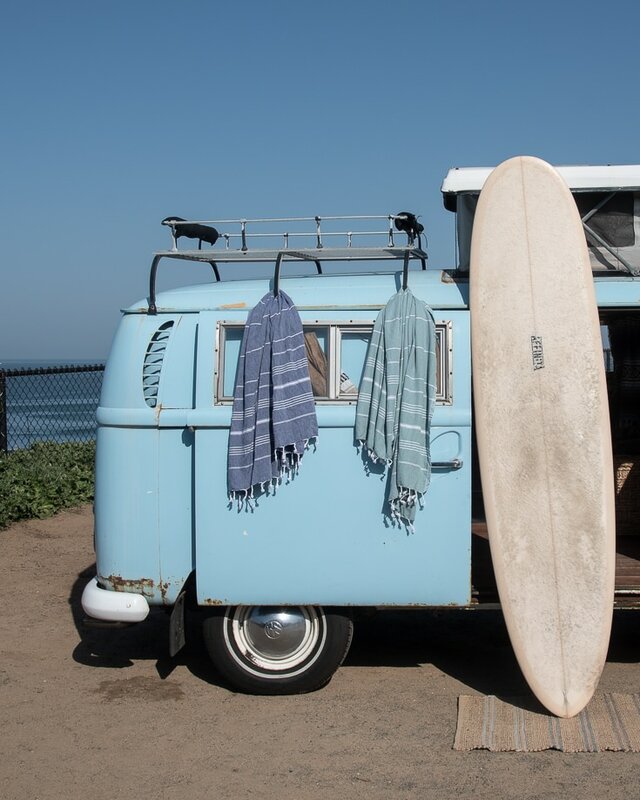 As the most lightweight towel of our collection, the Seafarer is the perfect towel for traveling, whether you’re headed for a surf trip up the coast or a round-the-world adventure. 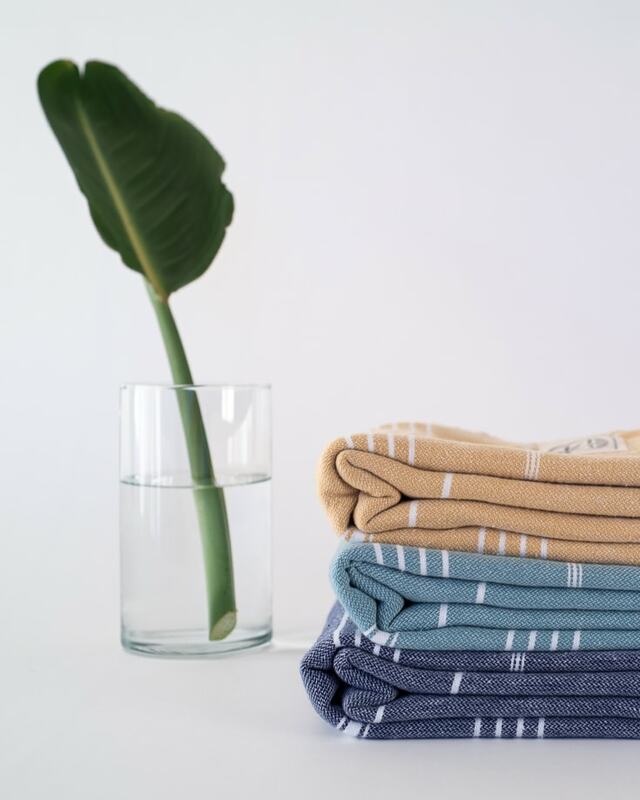 This beach towel lays out to a spacious size and for on-the-go it folds down to a convenient compact size that saves heaps of space in your beach bag or carry on. Take your beach game to the next level and travel lighter with the Seafarer. + FREE shipping on orders of $99 or more. + This fine beach towel only gets better with age–it will become softer and more absorbent the more you use and wash it. + Made with love by artisans in boutique ateliers in Turkey. Due to the nature of handcrafted goods, each towel may differ slightly. + Lush Palm towels and blankets are Oeko-Tex® Standard 100 certified. Meaning our products are made with the highest care and certified free of harmful chemicals and synthetics. Wash your towel before your first use. This will make your towel more absorbent. Gentle machine wash on cold and air dry (or use low heat on your dryer). Do not use fabric softeners, bleach, or dryer sheets as they can damage the cotton and act as a water repellent.